You're the ultimate blog designer. 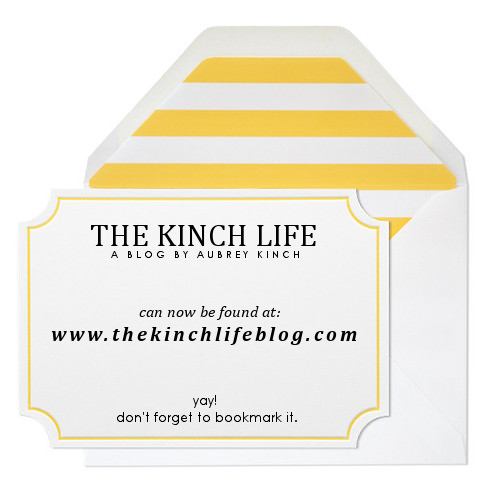 I love everything about The Kinch Life and the "new home" is fabulous. So cute!! Congrats on the domain. :) Have a great day! Congrats on the .com! I announced my new address the same way back in March. Great minds! Love those notecards. Where you at cold weather?